Released June 2nd, 2017 on Stickman Records and Armageddon Label. European/worldwide listeners – order the record here! North American listeners – order the record here! 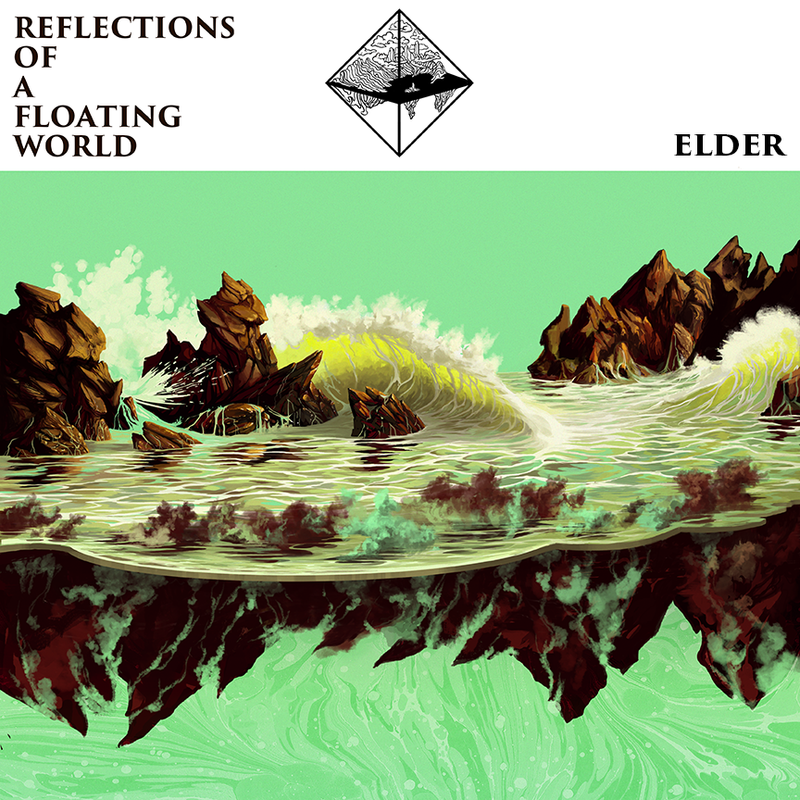 Each Elder release has had a strong theme tying it together musically, conceptually and aesthetically, and the newest release from the trio-turned-quartet is true to form in this regard. While it remains a constant point of mention that the group’s sound has shifted or evolved in the band’s now 10 year existence, this seems hardly remarkable to the band; their main sources of inspiration lie in life experiences and our world itself, both musical and a-musical. In the years following the release of Lore and the extensive touring that ensued, life became a blur of constant touring, flights, opportunities and stress, friendships and broken relationships – put shortly, the trials and tribulations of a band playing music for a living and living to play. It is during these years that the lyrical content for the new album took form, from introspection about what it means to live life on your own terms, to refuse to cave to societal and peer pressure and carve your own path. The term “the floating world” comes from a particular period in Japanese society which is associated with a flourishing of the arts, but also a self-destructively decadent lifestyle. Our own “floating world” is the one we inhabit today – filled with greed, sadistically capitalist and relentlessly hedonistic – and the album’s songs are the band’s own “reflections” of it. In traditional Elder fashion, however, nothing is one-sided: the songs portray the tragedy of a meaningless and shallow existence, but also celebrate hope in an almost anarchic, self-determined life.